2 Bedroom End of Terrace Cottage For Sale in Great Yarmouth for Asking Price £245,000. 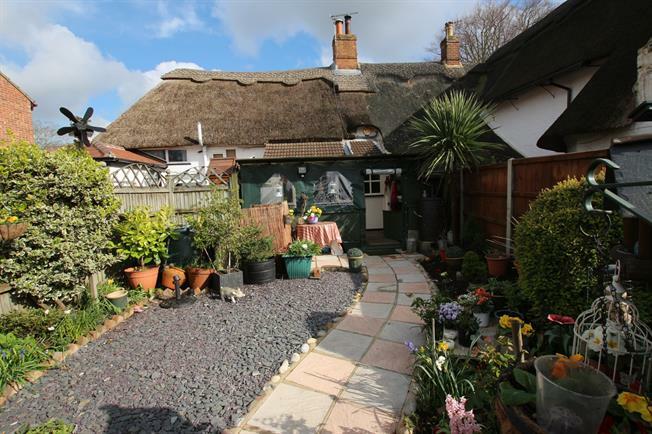 Dating from the 1700s this Grade II Listed thatched cottage is equally perfect as a holiday or permanent home. The cottage has many character features including; an Inglenook fireplace with log burner and exposed beams. The property has been improved by the current owners with work including re-thatching, replacement of the oil fired boiler and installation of hand made timber framed sealed unit double glazing. The accommodation comprises: logia, kitchen, breakfast room, wc, sitting room, diner/bedroom 3, 2 first floor bedrooms and bathroom. There is a rear garden and parking for 2 cars.